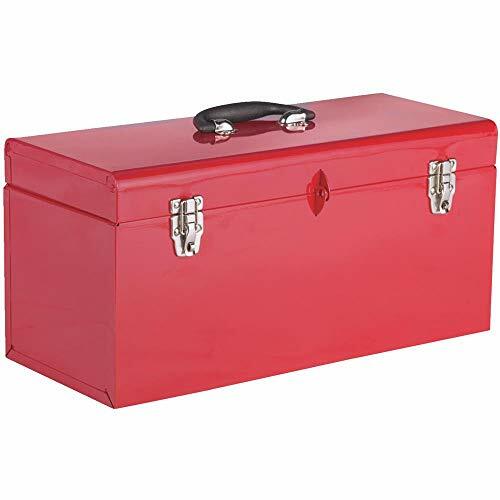 Also called a toolkit, workbox and a tool chest, a toolbox (or tool box) refer to a container used for storing items such as wrenches, screwdrivers, pliers, cutters, hammer, axe, drill machines, and other hardware tools. Whether you are a fan of do-it-yourself home and vehicle repairs and maintenance or not, it goes without saying that every adult possesses at least some basic tools and related equipment. On the other hand, workers like electricians, plumbers, and carpenters own a much more elaborate and extensive collection as their trade requires them to be well-prepared for fixing a number of things. If you are looking for the different types of toolboxes that you can use to house and organize your hardware equipment then take a look at the following article. Because they can be constructed in various ways and are available in countless styles, it is almost impossible to cover all the types of tool boxes in one go. The article highlights the most popular ones according to use and also discusses the basic types of tool boxes classified according to their material. While the earliest tool boxes, date as far back as the beginning of the 19th Century, were carved out of wood, today you will hardly find any toolbox constructed from the same material. Instead, modern toolboxes are mostly made of materials such as steel and aluminum because compared to wood, they stronger yet lightweight at the same time. According to the choice of material, the following are the different types of tool boxes available in the market. Aluminum is employed in the construction of tool boxes for the same reason that it is used in making all modern airplanes – it is strong and lightweight. These toolboxes are made from aluminum sheets of sufficient thickness. The sheets usually feature a rugged texture or a rugged diamond plate pattern that is commonly used for various aluminum surfaces which can otherwise be too smooth and slippery for certain uses. Besides being a sturdy and durable material, aluminum is often preferred for making various types of tool boxes because it does not corrode and therefore will not deteriorate for a significantly large time period. These toolboxes are also used in trucks because they prevent the tools from moisture and rust. In such cases, they mostly come with gas struts which help to keep the lid open and upright, making it feasible for the workers to easily access the items inside. 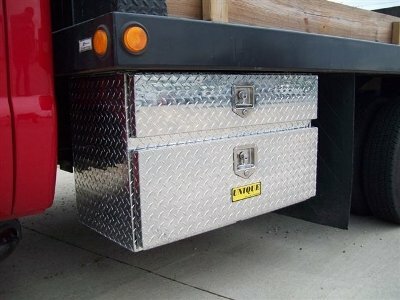 After aluminum, steel is the second most widely used substance for making truck tool boxes. Although these toolboxes are heavier than the aluminum tool boxes of equivalent size, capacity, and dimensions, they offer other advantages that are not really achievable through the use of aluminum. For instance, steel is tougher than aluminum and therefore, it can bear more weight as well as resist dents and other damages caused while storing, shifting, arranging and retrieving the tools from the box. This property also makes steel-made tool boxes an ideal choice for users who have to work in harsh weather conditions and on rugged terrains. The durability and strength of steel tool boxes are further increased by covering their inner and outer walls with a special powder. This powder coat makes them more resilient to rust and corrosion. 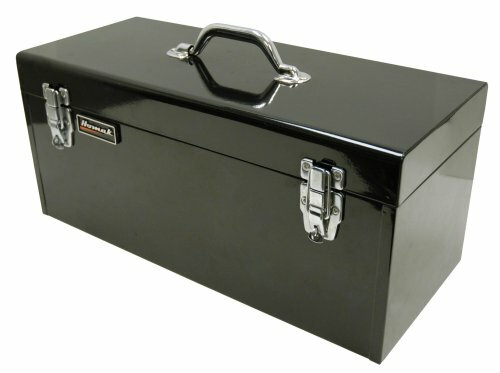 Steel tool boxes provide exceptional strength and are easy to clean and care for. 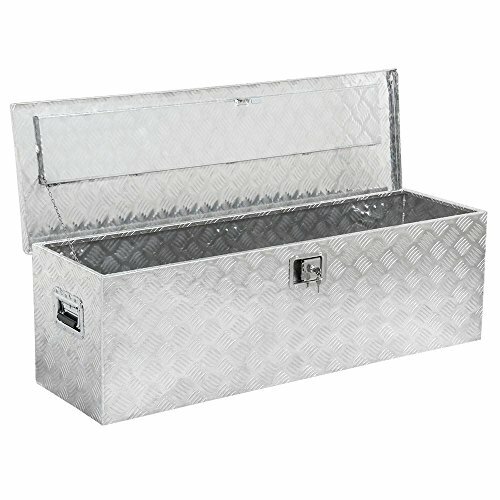 Stainless steel tool boxes are not as common as aluminum and simple steel boxes, and the reason behind that is simple. While aluminum and steel tool boxes offer strength and durability at an affordable cost, stainless steel boxes offer the same at a much higher price. However, this increase in price is totally justified due to two reasons. Firstly, it’s because a steel box is far more than a regular toolbox that has a long life and can house your equipment well. These boxes are made from a special ‘stainless’ steel alloy and are true ‘premium’ tool kits that will stay as good as new even after years of usage. Secondly, they cost more than the alternatives because they are highly resistant to oxidization and will, therefore, never rust or corrode, literally! In case you are not already aware, stainless steel does not need any special chemical treatment or powder coatings to prevent it from rusting – it is inherently a non-rusting substance because it has gone undergone specific processes that make it anti-rust by default. Although stainless steel is shiny enough on its own, sometimes the tool boxes made from this material might be polished after fabrication for a more lustrous and fancier finish. Despite the higher price, you can find stainless steel toolboxes in residential as well as commercial garages and even in race environments because they have the longest life, are resilient to chipping, dents and bumps, plus they are super easy to clean and maintain. Plastic tool boxes come close in competition to stainless steel kits in the sense that they too will never corrode. However, it goes without saying that these boxes are far less durable than any of the above three types. 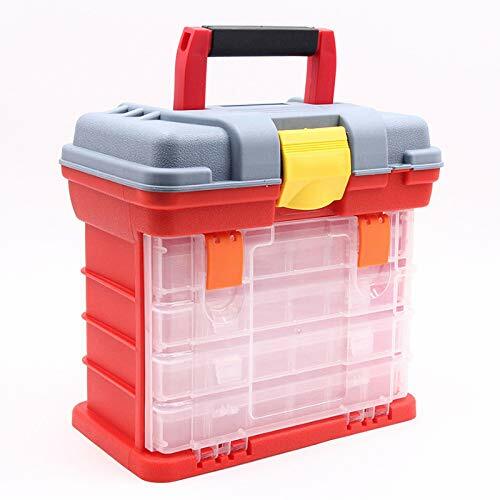 Toolboxes made from plastic are usually preferred by homeowners as these are not only economical but are also easily available in a wide range of various shapes and sizes that fit the different needs of different users. As plastic is very light in weight, plastic tool boxes are preferred by truck drivers who need to be mindful of the total load that they can carry at any given time. Another feature that makes plastic tool boxes really popular is the fact that they are usually transparent, which means you can easily see which tool is placed in which drawer or compartment. Besides this, plastic tool boxes can be cleaned easily with water and regular soap or detergent and hence, are considered really convenient especially for recreational purposes. If you see wooden toolboxes used in garages, by window cleaners or other workers, it is highly likely that they will be an open-style tool holder that features a handle for carrying it around but does not have any lid. This is in usually done to ease accessibility and more so to reduce the weight of the box. Although wooden tool boxes are susceptible to chipping, you can still find some expensive, luxurious models that are made from engineered hardwood, laminated wood, and other similar materials. Such toolkits are not meant for rough and tough use and are usually utilized for fancy purposes as they are somewhat ornamental and have quite a visual appeal. The following are the most commonly used types of tool boxes that are made from varying materials and come with their own different characteristics. Be it professionals or just a layman who uses a few tools once in a while to repair bicycle or the like, this basic toolkit is the most common type of toolbox that everyone is aware of – and most probably owns as well. They come as a compact box with a handle for carrying it around. 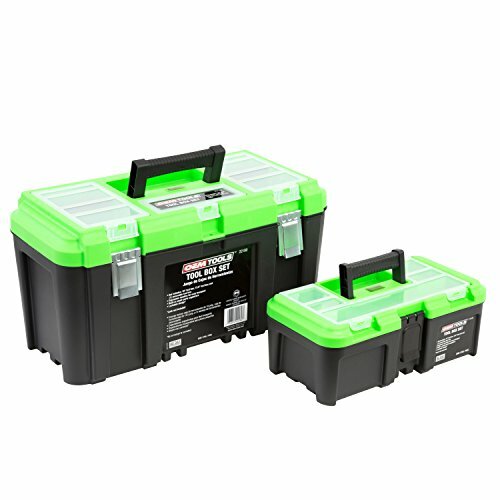 Hand-carry toolboxes are normally made from plastic as it is the lightest material available. They are commercially available in an array of designs, colors, shape, and sizes. As is evident by the name, these toolboxes feature drawers to neatly store all the tools and other relevant equipment. Unlike portable tool boxes, stationary toolboxes do not consist of wheels to move them around easily. However, depending on their size, stationary toolboxes can still be carried from one place to another if the need arises. 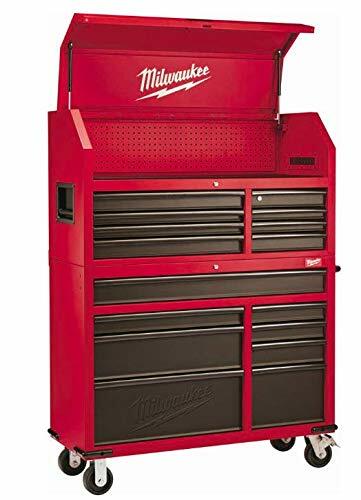 Usually, they have a handle at the top for this purpose but if it is rather large in size, then needless to say that such stationary toolboxes do not feature a handle because they are intended to be placed in one spot only, such as a garage. The multiple drawers can sometimes be divided into more compartments for greater organization. Also, the drawers can vary in size and depth to use different uses. For instance, lowest drawers are normally meant for the heavier equipment such as drill machine, hammer, ax and so on whereas the upper drawers can be used for lighter and smaller tools. You can label the drawers if you tend to forget what is kept where. These toolboxes also come in a variety of designs, shapes, and sizes but wheels are common to all. 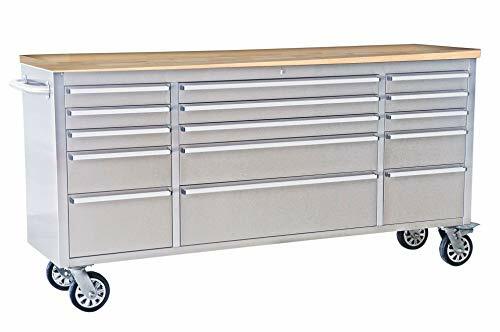 Roll-around tool boxes are usually sold in an upright design and consist of pull-out drawers whereas there is also a lid-style compartment at the top. You can think of these toolboxes as a chest-of-drawers mounted on wheels. 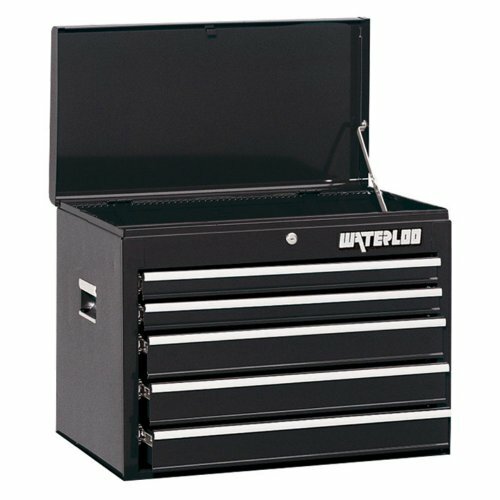 Roll-around tool boxes are good for mechanics as they need a wide variety of tools while they work around a vehicle. 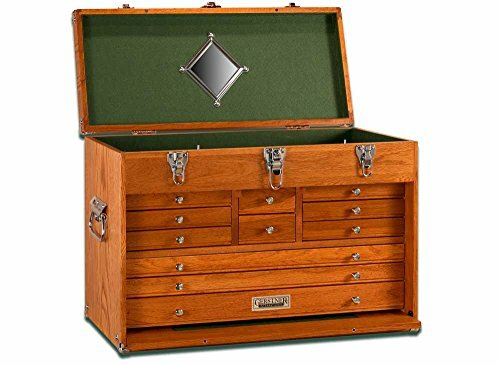 These toolboxes are quite similar to the standard roll-around toolboxes except that instead of a covered compartment at the top, these chests have a plain surface at the top which serves as a workstation. The material used for these tool chests is usually steel or aluminum with a wooden (or composite) workbench but sometimes wood can also be used for the entire assembly. In more expensive models, you can get the feature of height adjustment as well. Normally made using high-density plastic, these toolboxes are as versatile as a toolbox can be. Not only are they light in weight, but they are also completely portable and can be rolled to wherever you like. They are compact and flexible plus the trolley-style design makes them easier to move around. They come with four wheels or sometimes only two as this provides greater stability (when the box is supposed to stay stationary). These portable toolboxes are the go-to option for plumbers and carpenters as well as homeowners working on a major DIY project as they can easily wheel it around the house and to and from their garage. 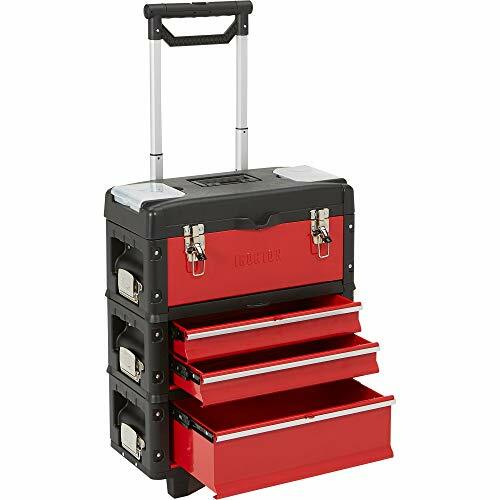 These relatively small tool boxes are more of an organizer kit that craftsmen can use to safely store tiny hardware items such as nails, screws, pins and other similar items. 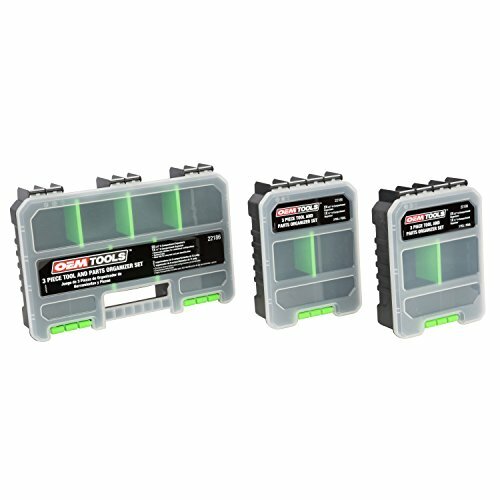 These sets can be used on their own or housed inside a proper toolbox so that you have all the items handy when you work. Designed specially to fit on trucks or similar vehicles, these toolboxes are useful for carrying essential tools on the move. These are not only used by truck drivers, but also by several other drivers who own a large utility vehicle or often travel to remote and distant areas. Truck-mounted tool boxes are usually made of aluminum or steel for durability but you can also get plastic ones if weight is an issue. They come will special bolts and hinges and just need to be fixed in the proper place. Depending on the style of installment, truck-mounted toolkits can further be divided into side-mounted tool boxes, rail-top mounted tool boxes, cross bed tool boxes and so on. Now that you know about the different types of tool boxes available in the market make sure you buy the right one to house all your precious tools and similar equipment. Check out more pickup truck storage box options here.